South End Open Market @ SoWa returns to the streets South of Washington every Sunday from 10am to 4pm from May to October! The SoWa takes up a few blocks in the South End of Boston with an address reading 460 Harrison Ave. However, you may want to look at a map before you visit to make sure you know where each market takes place in a 3 block radius. 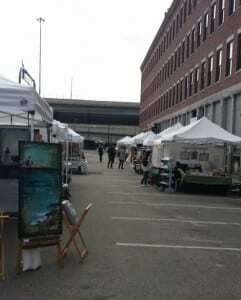 South End Open Market @ SoWa includes a vintage and art market, farmers market and food trucks! This is a great way to take a look at local art and crafts, food and more! For more information about SoWa, please head here. Have you been to SoWa before? What did you think?